1. Coles re-launches old Flybuys program as supermarket war continues. 2. McDonalds global sales increase 7.3% in first quarter. 3. Coles stuns market with 4.9% rise in 3rd quarter sales. 4. Sales of 55cm TV’s boom as we head into Olympic year. 5. JB Hi-Fi expects profit fall as heavy discounting takes toll. 6. Amazon sales soar 34% in first quarter. 7. Blackberry plans for the future as it adjusts to massive drop in market share. What don't you like about the market? Working weekends and missing out on quality time with my kids who have now grown up. Past jobs? -Studied business law, and music industry agency work. Sporting interests? I am not a sporty type, more of a watcher. Soccer mainly. Favourite food? Eastern European cuisine. If you were given a 2 week free holiday anywhere around the world, where would you go? Is it true you net Sally you wife in the market? Yes we fell in love at the market. Traders have not always shown a strong interest in determining their future at the Queen Victoria Market but there are signs of change. The recent article on grouping stalls has broken records for readership on this website and the response from traders was certainly very strong. Most of the comments were against grouping but even the more extreme responses made some very valid points and added to the debate. Why do we need to debate these issues? We are in a time of significant change for retailing. The global financial crisis and subsequent events have created a new consumerism with severe impact on retailer’s incomes. The Lord Mayor of Melbourne has seen fit to engage traders directly to help ensure that the Queen Victoria Market recovers lost ground and moves forward as a strong retail entity. In the UK, a dramatic drop in the fortunes of markets and High St. shops resulted in a recent parliamentary enquiry with far reaching implications (see separate post). The point is that we are in a time of change and change requires action. Change and action cannot be allowed to run rampant. They require careful considered responses and if the comments on this website are any guide, QVM traders seem to be moving to more “considered” views. Good healthy debate is a big plus for us as we move forward and contribute to solutions. A Traders View on Parking, Buses, Hours etc. This post was added to our discussion on grouping stalls but it covers wider issues and we felt it deserved its own post. - As we have very limited parking to begin within, at the actual market, l feel that all STALL HOLDERS, Staff, Cleaners, QVM Management Staff, Box Hire, Table Hire employees, and discount City Employee rates, should not park in the main carpark, as this reduces the number of available spots for customers to park. - A shuttle bus should be arranged to run on Saturdays and Sundays with the cost shared between the QVM and the multi story car parks around the market. This could run every 20 mins, and ferry customers between the market and these car parks, reducing the parking issues. This pains me to put in words, but l do believe that we need to address our hours. I see so many potential customers arriving at the market, after our closing times, and be disappointed that we are closed. (I know people will say they should have arrived when we were open). I think we need to look at chugging the time we open in the morning, as l have seen a dramatic drop in morning customers, and now find that customers are not arriving until around 11am each day. As most of your major markets throughout the world are either evening or night markets, perhaps we need to investigate the possibility of changing our hours. Im not saying to a night market, timeframe, but perhaps, something like 11am till 7pm, or 12pm till 8pm, or 10am till 6pm. These are just suggestions for our times. - We do need to take a good look at the available merchandise within the market. We do have a lot of repetition, and this is due to a number of stall holders now holding multiple licences, resulting in their products being repeated, along with the other stall holds who were already selling these items. I guess what l am saying is we do need tighter controls on what product lines already on sale within the market, and on what products are let in to the market going forward. We need to also look at the varieties we are supplying. Radio, TV, Newspapers are all good, but lets try to expand on that. 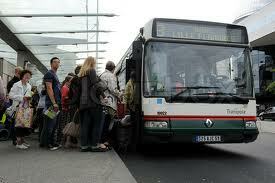 Why not BUSES, TRAMS, TAXIS, TRAINS, these are seen by thousands of people everyday. Its a great way to get your brand name out there, and they are mobile, they do not rely on people listening to that radio channel at that time of day. People actually watching a TV ad, instead of changing channels, or just flicking past the section that we are advertised in the paper. The new bus tours are a great idea, and will generate more tourist trade, but lets try to tap into the inner city living crowd (something the Suzuki Night Market has done) and get them to the market. The trams, and buses around the city would generate more awareness to those living and working right around the corner from us. Reports this morning (Sunday 29/4/2012) that a tourist bus was unable to park at the top of K shed due to trader’s vehicles blocking the way. Apparently the tourist bus came through about 9:00 am although our photo shows vehicles still occupying bus drop off points at 9:30 am. The message is simple. We cannot afford to “bite the hand that feeds us”. Traders need to find alternative places for dropping off stock so that all traders can benefit from our most important customer base - tourists. Who hasn’t been confused by varying size standards between different clothing suppliers. At one retailer you can be a size S, at the next a size M, and so on. An Estonian company has come up with shape-shifting robots that adjust to the body measurements you key in and show you how your clothing item will look. The main attraction of the new system for retailers is that it dramatically reduces stock returns. Apparently the robots are pretty close to getting things right. Target in Australia are taking a different approach by launching a nationwide scanning program to accurately assess the size variations of Australian shoppers and compile a sizing standard that it is hoped will remove anomalies. Customers will be asked to stand in a booth for 60 seconds and in return will receive a detailed assessment of their body size. The data collected will be used by Target in designing new clothing items for the Australian market. Correct fashion fit seems to be getting a big shake-up. This item appeared in our Latest Retail News update last weekend. It referred to an announcement on the City of Melbourne “What’s On” website on 21/4/2012 about a new night market from the operators of the famous Suzuki Night Market. The market was to be held during the month of August. That announcement has now been removed from the City of Melbourne website so we assume it was incorrectly posted. The one issue that alienates me from many of my fellow traders is grouping like stalls together in the market a bit like shopping centres do. I know that this issue is discussed with great emotion whenever it is raised but I think we need to debate it as we, hopefully, move on to “regenerating” the QVM. 1. It is much more convenient for customers. Today’s retailing is all about convenience. We build huge sprawling shopping centres to give customers as much choice as possible. We build equally large carparks around them to make access as easy as possible. We install transport systems to achieve the same result. We put our goods on websites so shoppers can pre-browse, and when they arrive we give them a choice of payment methods, pack their goods in a carry bag and give them our contact details so they can contact us down the track to buy more goods or raise any problems with their purchase. It is all about convenience. Shopping centres have grouped like shops together for many years. They argue that, if a customer wants to buy a fashion shirt they shouldn’t have to walk from one end of the shopping centre to the other to compare prices, ranges and fittings. Time is money and sometimes shoppers need to be able to focus their shopping journey. It doesn’t stop them browsing the aisles if they wish but if time is important, they have a convenient alternative. 2. It is more profitable for retailers. In retail location theory, Nelson (1958) first showed that the tendency of retail clustering is based on the theory of Cumulative Attraction and the Principle of Compatibility. In his research, the theory of cumulative attraction suggested “…a given number of stores dealing in the same merchandise will do more business if they are located adjacent or in proximity to each other than if they are widely scattered”. This theory has been tested and added to over the years but it appears to be the core reason why modern shopping centres continue to group like traders together. If grouping creates more business it also sustains higher rents for shopping centre owners. The main argument against trader grouping seems to be that it works against customers walking the whole market and therefore giving every trader a chance at their piece of the pie. To me, that is a bit like saying to customers “You might have already decided what you want to buy, but we are going to make you walk the whole market anyway”. Grouping does give customers the option of running in and running out again a bit like the fresh food customers do to the detriment of general merchandise. However, forcing them to walk further than necessary may just make it easier for them to choose other shopping centres. Of course we make this process even worse by changing stall positions each day. 1. Asking customers to walk the whole market (I’m not talking about browsing tourists here) is a bit like asking modern shopping centre shoppers to go back to the strip shops. We have moved on. Time is money. 2. I’ve heard it said that we would remove the “adventure” aspect of the market if we grouped stalls and made shopping too predictable. If customers have plenty of time to spend I don’t see how grouping upsets their shopping. But, if they are in a hurry, or simply have better things to do, that “adventure” becomes an irritation. 3. Competition between traders could improve market presentation. Imagine if our much-maligned ladies fashion stalls (“all the same stock”) were grouped together – they would need to find ways to be different either through merchandising, product concentration, innovation or price. Grouping doesn’t have to be extreme. We don’t have to have all shoes stalls together, for instance, in the one aisle. Grouping may mean a core group of like traders with associated traders around them. By working together, they create a new dynamism to their area. It may be a group of jewellery traders linked with other fashion accessory stalls like scarves or hats. Essentially, grouping like traders together is putting the customer first. Please comment. However, when all the customer linkages between all the outlets are collapsed into a single compatibility table ( where an index of 100 represents a neutral relationship), one overwhelming conclusion is apparent. By far the strongest links occur when similar types of outlet, such as outfitters or food shops, are found in close proximity. In fact, the extent of customer interchange among compatible, propinquitous establishments is half as much again as that between dissimilar, geographically dispersed outlets. Further, it is substantially greater than that between similar, spatially separated shops and contrasting outlet types in close proximity. Although this finding is a striking confirmation of the ‘match’ as opposed to ‘mix’ school of tenant placement, it does not hold for every trade type. As figure 3 indicates, convenience outlets and comparison goods retailers appear to benefit substantially from propinquity. Service establishments, on the other hand, do not possess a positive compatibility index. If anything, they seem to enjoy a greater degree of customer interchange when located adjacent to similar shop types. Somewhat surprisingly perhaps, Figure 3 also suggests that convenience retailers benefit more form proximity than their comparison goods counterparts. As noted earlier, comparison goods are usually held to involve extensive shopping around, while convenience goods are routine, low involvement purchases. Thus, in theory at least, spatial proximity should have a greater influence on the former than the latter. This counter-intuitive finding, however, is largely due to the crudeness shopper behavior and tenant placement within planned centres, it is nevertheless possible to draw some general lessons from the above observation study... the findings highlighted the key, customer generating role of the magnet stores and secondary attractors. The location of these outlets relative to each other and the entry points are thus crucial... the rule would appear keep the magnets apart but not too far apart. Closely related... was the dramatic evidence of the advantages that accrue from placing compatible outlets in close proximity. Whether it be convenience outlets, fashion retailers or purveyors of household goods, the... study clearly demonstrates that the volume of customer interchange is vastly increased when a ‘match’ rather than a ‘mix’ approach to tenant placement is adopted. " 20/04/2012 1040 Ed: Ouch! Would whoever posted the comment above please give us a translation? I've read it three times and I think it agrees with the premise of the main article but now my head hurts. 20/04/2012 10:50:40 We have an example of grouping right on our doorstep - meat, fish, deli, fruit & vegetable. 21/04/2012 20:27:13 "Let's keep in mind that sopping center have somthing we don't. This could solve a customers problem. OR MANIGMENT MUST BE SLOW?" 24/04/2012 12:07:46 "I am very much based in favour of grouping similiar stalls together assuming we are a shopping centre. we are not..in terms of an adventure i think most people think it as tiresome over duplicated and boring only after two aisles..the problem at the moment we have two many of the same. in a shopping centre they can be distinguished by brand and target market.' A GOOD BETTER BEST TYPE "" SYSTEM. which the market needs to adopt ..thus based on what robert Doyle is saying about cutting the general merchandise section this could be achieved once the offer is cleaned up and only the best traders in terms of experience capital outlay , presentation and service remain""
Grouping will only work once the best stalls remain and others be attempted to come in once some vacancies remain..
People need to understand the quality needs to be increased and the quantity decreases." 25/04/2012 11:30:24 when can we start!! 25/04/2012 12:51:51 "The reason that the issue ""grouping like stalls together"" arouses such an emotive response and tends to alienate most Traders from your views is that this concept raises many more problems than it attempts to solve. 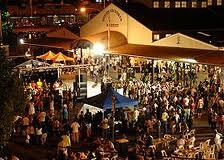 Many traders have occupied the same location for decades or generations and enjoy return busines - local, regional, interstate and overseas.this is called""good will""
Stallholders have in most instances 'worked' in the market for many years first as casuals ect.to achieve the standings finally allocated to them. The current allocation process using seniority of service and days traded is probably the best system so far achieved. Now that stalls may be sold,it is obvious the position of stalls is an essential aspect of saleability and price. What of the 5 Stall Convention [rule}, traders are working in open standing ie.no walls no doors ! and this convention has operated for many obviously good reasons and benefits. - difficulty developing and maintaining original ranges and ideas for even a short time due to constant unavoidable surveillence by adjacent competitors resulting in greatly diminished diversity of range (one of the present STRENGTHS of the Market). Difficulies in defined presentation and clear deliniation of each trader's individual display.l"
wthether they want to keep their current.Permanent stalls and locations .with the existing customer traffic flow that they know and understand [which has been operating 100 plus years] . AlternativleyTraders could argue that they want to be removed from their current permenent stalls and locations and that all the stalls be realocated to different locations and"" all like stalls grouped together: No guarantee that it would be better most unlikely I would warrant,could be a little bit disruptive, maybe a little bit stressful too initially while waiting to see where they put you ,be a few nights sleep lost there ,probably need a new setup too,better look good you will be right up against your competition $ ,1,000 should do it unless your adjacent competitor spends $10,000. Of course setting up right next to your direct competitors might have some disadvantages unless your the predator with lots of capital. The close proximity would certainly make things more interesting, competing traders could see into each others businesses and watch their neighbours selling like products talk about hightened stress. Trafic flow would change ?? Some traders could see a lot less customers, but there have to be some casualties .cant make omelets without breaking eggs ,people would not have to walk through the market any more they would just get what they want and leave. But wait 60 to 70% of GM traders are tourists and they claim that they enjoy the market as it is they actually come specially and some times spend several days they claim to relish the differnt ,unique shopping experience . So have i got that right - these are some of the issues that traders should debate. Oh and who would do the stall realocations for the whole market? Not a problem there is cetainly no shortage of trust among traders for Managment, ,everyone would certainly be looked after of that we can be suure. proposal to make fruit &veg 70%of market could be also viewed cynically as another way of creating an unsustainble situation eventual collapse and access to land and development they use the term"" enhancement"". Fortunately I am not cynical after many years in market & trust mangament & Lord Mayor unequivocallly. I know implicitly that they would never put mega profits before the welfare of Traders 'Yes lets engage in this worthwhile debate Traders should not view that someone is being use as aJjudas goat to lead every one to where thy want them. .No we just have to debate this we have nothing else to do working 60to 80 hours a week is nothing .after we have all decided how we will reorganize the market ,should not take long' nothing to it, we already have one study from 1959 how did we manage till now/?oh look its 2.30 in the morning oh what this fun this is ""one more thing to think about"" , and we still havn't even started to turn the market inside out yet, I wonder if that will be a lot of work. Suppose the people who gave us this debate intend to help us with that, . one wonders what other things we could debate - maybe why does Ikea use a strange maketing stradegy. They let the customers in at the entrance and they have to go right through the whole store almost.past all the stock only at the other end can they leave at the register,they probably dont have acces to our high level marketing advice wonder how they manage? POSIBLY BECAUSE IKEA OWNS ALL THE STOCK and wants to sell it &they re not triyng to get smaller ,that must be it. In the future we could debate what is the right number of holes in a human head." The idea of everybody chucking their stalls back in the middle to be reallocated - for whatever dubious benefit of posssibly making it easier for locals to shop when they make up 20 - 30% of GM customers is very scary and could be dangerous to the survival of the market as the world famous institution it is today. Think of the extra stress and upheavel such changes would cause (stall structures, fittings etc. and stock lines). It would be interesting to know where this idea originates? I certainly do not want to stand in the way of progress - but I think it essential that the progress incorporates within it a market which is as great as the one we already have. I believe this very important issue warrants serious consideration and comments from as many traders as possible ie do traders want to be grouped with lilke traders (ie competitors together) or do you want to leave the market very much as it it is but with improvements. HAVE YOUR SAY WHILE YOU CAN"
27/04/2012 15:45:21 Here here to the above 2 comments!! 28/04/2012 08:09:05 I thought the goats name was Azazel? 28/04/2012 19:38:48 "Personally l don't like the idea of grouping the stalls based on what items you sell. The shopping centres l have visited over the years, do have some grouping, l admit that, but that is generally for the food, via a food court, and clothing. I do not recall seeing all the Jewellery shops, music shops, electrical goods, or even banks being located next door to each other. I think you will find it comes from necessity that the clothing shops appear to be grouped together, but l feel this is also more a case of they are the majority of shops you will find in any shopping centre. Something else that these shops have over the market, that will not effect their business in the way it would stallholders, is that these shops are generally part of much larger organisation, and have a brand name to support them, and if one store is not doing aswell as another, then it can be offset the organisation. In a lot of cases, the big chains keep shops open in low performing centres, for the simple fact, it keeps there brand name in front of customers eyes. We are talking about regenerating the the GREAT QVM, but l think we need to acknowledge the following first, from both the a stall holder point and the Market Office. I think we need to look at ways of increasing the customers that are attending the market. The market aisles these days are showing signs of a decreasing number of customers. If we look back 15 to 20 years, the aisles were so full of people, you were walking shoulder to shoulder, and just moving at a slow pace, due to the sheer volume of potential customers for every stall holder. I also feel that we do need to look at the general merchandise section of the market. I regularly hear customers comment that it appears to be the same products from aisle to aisle. What is required to stop these thoughts by customers, l am not sure, but it is a valid point, if we are hearing it from our customers." The latest consumer sentiment figures paint a very gloomy picture of how Australian consumers are feeling. The Reserve Bank Governor recently made the comment that foreigners seem to have a more positive view about our economy than we do. The figures show that consumer sentiment fell by 1.6% in April to an index of 94.5. That means that there are around 5% more pessimists than optimists. It is difficult to know what we take from these figures because it is a survey of a limited number of Australians and we don’t know how pessimistic they feel, it may only be mild pessimism. However, it is interesting that consumers are now more pessimistic about their personal financials than they have been at any time since July 2008. Interest rates have fallen since that time and food prices haven’t changed a lot so we assume that price rises in things like electricity, gas, water and petrol are the culprits. Some say that lack of leadership from our politicians is also a factor. All this doesn’t sound overly cheery for consumer-dependent businesses like retailers, but there could be a silver lining: many feel the Reserve Bank is another step closer to cutting interest rates. Big congratulations to Royce and Lyn on the arrival of Jasmine and Olivia. 1. QVM creates a new night market for the month of August – Lunar 1878. 2. Australia Post launches Farmhouse Direct – fresh produce post from farmer to consumer. 3. Westpac Index of Consumer Sentiment surprised commentators with a 1.6% fall in April. 4. US retail sales in March up 4% over last year. 5. MYOB says small/medium business confidence lowest in over 2 years. 6. Westfield sells 8 non-core shopping centres in US. 7. Retail property owners warned of changing landscape as online grows. 8. Government to pay a $1000 bonus for employing over 50’s. 9. British fashion icon Aquascutum placed in receivership. 10. Priceline increases profit by 3.1% and launches expansion program. An important part of modern retailing is understanding your customer and the latest tag we need to know is Generation Z. Generation Y’s remember time before the dramatic takeoff of information technology but Generation Z’s grew up in it. They have been nicknamed the “digital natives” because of their exposure to the world wide web, mobile phones, computers and tablets, and social networking with a multitude of mediums like Facebook, Twitter, and SMS. Generation Z’s are more likely to volunteer their time to needy causes, be more cynical of politicians and marketing messages, likely to live in urban environments and likely to live at home longer with Mum & Dad paying many of their bills. They are less likely to smoke but more likely to drink alcohol. Their parents reduced spending on discretionary items to support them and Generation Z’s are likely to continue that pattern. There are many contradictions in the make-up of Generation Z but their attachment to digital communication should be a guide for all retailers. Talking with a trader today who has obviously given a bit of thought to tourist buses although his plan includes buses for locals as well. He proposes that buses would pick up customers within the city and the key metropolitan centres that show up in our demographics and bring them to the market. During the trip they would be given discount vouchers and on arrival they would be offered trolleys to go and do their shopping. On return to the bus they would be offered easy-carry boxes to pack their goods into and perhaps a couple of staff to assist with packing. That sounds like good old-fashioned service. We have posted other articles on buses in recent months and we’d like your thoughts. 20/04/2012 17:16:39 "what a great idea. not only good for locals, but mostly the tourist dolar." Australia Post have launched Farmhouse Direct which uses the postal system to get fresh food from farmer to consumer. Much research has gone into suitable packaging for various types of fresh produce with the APO inviting primary producers to challenge them with any perishable goods problems. Making it convenient for customers to access our goods deserves our attention. QVM traders rely on tourists and yet airlines are making it harder and harder for them to carry their shopping home. Traders need a convenient cost effective way of getting goods to their customers. We’d like to see Australia Post turn their attention to us as well. For starters, Farmhouse Direct includes a Flat Rate Box for consignments up to 15k with a flat postage rate anywhere in Australia. That sounds convenient. 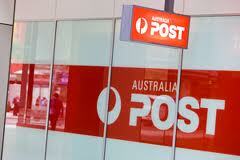 If enough traders are interested, we wouldn’t mind making an approach to Australia Post. Click on “Like” below if you would be interested in more information. 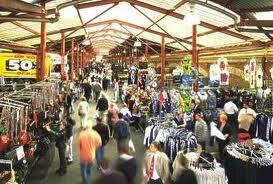 After 35 years I am retiring from being a trader at Victoria Market. I have had a few good years and of late, a few bad years, but nevertheless I am retiring as a self funded retiree. The last five years have been tough and I was tempted to retire earlier, but because selling was in my blood, I stuck it out beyond my use by date, even though I saw the writing on the wall years ago. Sad to say, I see the need for a "General Merchandise" section as something akin to a landline telephone. As the time goes on it is something that the public have a dwindling need for. We call it progress. Australians are now affluent. They can buy a ticket to Bali and Thailand for less than a week's wages. For $1000 they can shop overseas and buy what would cost them $3000 here. The second factor is that online trading has killed off the bargain factor that once ranked high in the sensuality factor of the public. The current generation much prefer to save time by buying online. In the case of buying a trinket or a "shmonsa" ( meaning impulse purchase that wasn't pre-planned ), this downmarket retail therapy is covered by eBay. The third factor is that Australia has become an expensive place to buy anything. Tourists won’t buy anything they can get back home, unless it is portable and a bargain. As a nation of importers, we are faced with impossible challenges when it comes to presenting marketable merchandise. What are the solutions to warding off the shadow of the grim reaper? Even though I am out of the race now, I still have some ideas. Firstly - Bigger is not always better. The General Merchandise Market should be cut back to three days a week if not two. If you think I am barking up the wrong tree then just ask Harvey Norman if having an over abundance of retail shops is a good thing. We have too much of the same thing. Close some. Be bold. Think left field. Use space for something like an open air gym or a massage therapy area. Whatever it is, it has to be different. My vision of a modern trader would be a trader who sells directly on the weekends and who spends the rest of his time online, marketing his products to the public. Online and physical presentation combined. A new and more savvy business person. One of the reasons The Night Market has been successful is because the admin was able to start with a blank piece of paper. You can't wind the clock back and you can't hold back progress. 16/04/2012 18:13:29 "very interesting morry. some good points raised. but i disagree with some. like you i have been trading for over 30 years , sure trading is not what it was before the sunday trading , but if you offer good service, offer to go out of your way to please, and offer fair prices, your customers will come back to you. 5 days is good and should even increase to 7 days a week to cater for the overseas customers. not 2 or 3.
i too should retire, im lucky that i could retire, and not need to seek , a gov. pension. but i enjoy my work, my market so much, you cannot keep me away. my view is make the market an easy to come , park and shop place. not what has become, a feared place to bring a car on the weekend. for fear of the dreaded traffic wardens, who pray on them"
We don’t often comment on Trader’s Bulletins but the April edition has a number of noteworthy issues, not the least of which is a comment on tough economic conditions and a statement on Planning for the Future. The words are encouraging and the opportunity to participate in the future of the market is very welcome. Indeed, as major stakeholders, traders must be part of the solution. We seem to have heard similar words back in April 2010 when the Trader Focus Groups were formed and it is fair to say that, if sales performance was our measure, then those activities failed. This is a different time and hopefully we are wiser. Maybe there will be more commitment from management and traders and maybe the newfound interest from our Lord Mayor will be significant. We are positive and optimistic about the prospects of traders becoming involved in the future of QVM and urge all traders to give serious thought to what part they can play. 16/04/2012 16:32:20 The CEO talks about consultation with traders. Fine words, but in the same Trader's Bulletin she announced the addition of a new trading precinct in M shed. Were General Merchandise Traders consulted on that proposal? Were any General Merchandise Traders asked to be part of the new concept? Consultation can take many forms - at its worst it is an information session after the event, at best it involves participation in all aspects right from the planning stage. We've probably already missed the best. 17/04/2012 16:45:15 "Well said, on the one hand we read words indicating openness and collaboration, with the hope of bilateral input and implementation. Fine words indeed. On the other hand we see the facts. " The April Trader’s Bulletin includes statistics on customer sources for the Queen Victoria Market and they make interesting reading, but there is evidence that they don’t give the full picture for General Merchandise Traders. Now, let us say up front that our survey was not conducted by a professional research company like the QVM one. We only surveyed through 20 top end traders, and we only surveyed over one week. However, we did survey actual customers (those that purchased goods), not just visitors wandering public areas. We believe that our results indicate further work needs to be done to determine exactly where top end customers come from and where the QVM marketing budget should be spent. 16/04/2012 16:51:00 They talk about target customers (visitors) - we talk about actual customers. Part of their survey included interviewing residents who don't visit the market (?). We only counted customers who paid hard money for goods. That is the difference. 17/04/2012 16:36:50 Traders basic interest lies in sales, Management and Council have other primary interests. The survey questions and stats are prepared with that in mind and often skewed to deliver the desired result. For instance the Sweeney Trader Survey result supposedly show that "As a venue for business, overall satisfaction with the Market is high..." Who are they kidding?